It’s Monday! What are you Reading? is a meme started by Sheila at Book Journeys and now hosted by Kathryn at The Book Date. It is a great way to recap what you read and/or reviewed the previous week and to plan out your reading and reviews for the upcoming week. It’s also a great chance to see what others are reading right now…you just might discover the next “must-read” book! 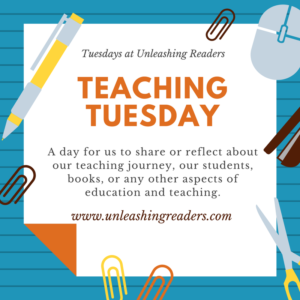 Kellee and Jen, of Teach Mentor Texts, decided to give It’s Monday! What Are You Reading? 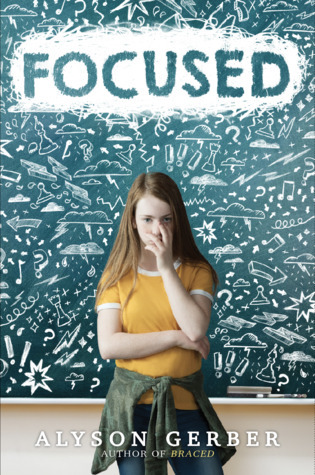 a kidlit focus. 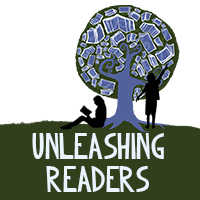 If you read and review books in children’s literature – picture books, chapter books, middle grade novels, young adult novels, anything in the world of kidlit – join us! We love this meme and think you will, too. We encourage everyone who participates to support the blogging community by visiting at least three of the other book bloggers that link up and leave comments for them. 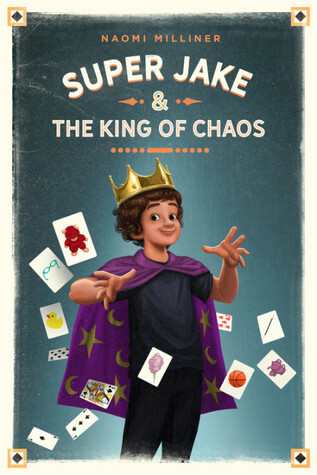 Super Jake and the King of Chaos is debut middle grade novel about Ethan, a middle school magician, and his family whose priorities surround Jake, their one-year-old who was born with brain damage. 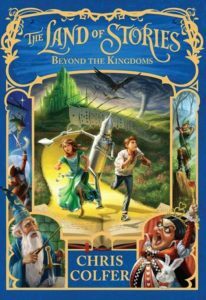 Since starting all of the Gordon Korman books, I’ve been really shocked to find out how many of his books that are SO GOOD are out of print. The Island series is another one. High interest and well written! Ricki is away on maternity leave and will return mid-June. Happy reading! Link up below and go check out what everyone else is reading. Please support other bloggers by viewing and commenting on at least 3 other blogs. If you tweet about your Monday post, tag the tweet with #IMWAYR! Life with kids is pretty busy, and it can be easy to forget to consider the environment with every purchase we make. Bottled water, individual snack packages, and upgraded devices all seem like the standard price we pay for being parents and educators in modern society, but in fact, the garbage we produce from this lifestyle has an impact that lasts far longer than—or just as long as—a laminated piece of child’s artwork. What have you tossed in the trash today? A gnawed apple core? A plastic straw? A tattered handbag? A piece of furniture? We throw tons of garbage away every day. Anywhere you find people, you’ll find garbage—mounds and mounds of it. A gyre of plastic trash floats in the middle of the ocean. Garbage is even marooned on the surface of the moon. Usually, we don’t realize how much stuff we throw away. In just one year, an average family of four in the United States churns out 6,351 pounds of waste. That’s enough to fill a three-bedroom house to the ceiling. And where does all that trash go? It doesn’t simply disappear, as much as we’d like to think so. Even the stuff that gets lugged to the landfill requires a careful process of sorting and arranging so that the runoff and off-gassing doesn’t make us ill. Or it might get burned and filtered to reduce the amount of toxins that are released into the atmosphere. But still—our oceans fill with plastic, which gets eaten by marine life. Our highways and back roads are lined with litter. Our beaches are minefields of trash. However! Through effort and education, we can make a difference and be part of the cleanup. And we owe it to our kids to model behaviors that will result in positive changes to the world—such as reducing the amount of trash we create! While the three R’s of Reduce, Reuse, and Recycle are critical in our quest to make Earth healthy, there’s another R of equal importance—Rethink. Rethink the way you make purchases and the way you use what you have. This is an incredibly important lesson for kids to see acted out on a daily basis. 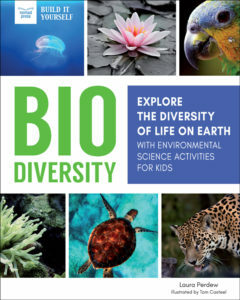 To help, try these environmental activities with the children in your life! What’s in your rubbish? For one week, track and record every item your family discards. Be very careful because trash can contain broken or sharp objects. Use a scale to weigh three large empty plastic tubs. Record the weights in a science journal. Reuse cardboard, index cards, or scratch paper to make three labels for the tubs: “Trash,” “Reusable,” “Recyclable.” Attach the labels to the tubs. For one week, become your family’s garbage collector. Put on rubber gloves to rummage through every item of trash. Be on the lookout for broken or sharp items and handle with care. Categorize each as trash, reusable, or recyclable. Place each article in the appropriate container. At the end of the week, weigh each tub of stuff. Subtract the original weight of the empty tub from the total and record how much waste each tub has. Compare and contrast your totals with those published by the EPA. Did each person in your household produce about 31. pounds of garbage, which is the national average? Challenge your family to cut down your amount of garbage. Rethink your trash choices. What can you reuse or recycle, instead of discarding? If you get a composter, you can compost food waste. A month from now, try this activity again to observe your success. Are your results different? Has your old T-shirt seen better days? No need to let it die. Dye it instead! Next time your family boils colorful veggies, don’t dump the water. Use it to brew natural dyes the way colonists and pioneers did. Then, use those dyes to jazz up your shirt and give it new life. Choose your color. Beets will make red. Carrots produce orange. Gold onions make yellow, red cabbage produces purple, and spinach gives you green. Put the vegetables in a pot, cover with water, and boil them. Drain the liquid and strain out any solid bits. Store the liquid in a glass jar until you’re ready to dye the shirt. Before you use your colored liquid, you’ll need to make sure the dye will set in the fabric. Pour 4 cups of cold water and 1 cup of vinegar into a large pot. Place the T-shirt into the mixture. Then, put the pot on the stove and simmer the shirt for a full hour. Check on it now and then to make sure the mixture doesn’t boil away. After an hour, remove the shirt and rinse it in cold water. Now you’re ready to work with your dye. Return the pot and T-shirt to the stove and pour in the colored water. Simmer again. When you are happy with the color of the shirt, turn off the heat. Wear rubber gloves to handle the shirt because dye stains skin. The color will dry a few shades lighter than it looks in the pot. Hint: When it’s time to launder your shirt, wash it separately in cold water. The dye will last longer and won’t stain anything else. It’s fun to get a card or package in the mail. But junk mail? Not so much. You don’t ask for junk mail, but it shows up anyway. It’s usually advertising materials such as catalogs, flyers, credit card applications, and even CDs. One credit card company sends out materials in a fancy gold box with a plastic window, two Styrofoam bumpers, and five individual flyers inside! According to the New York University School of Law, most families in the United States receive 848 pieces of junk mail annually. About 46 percent is never even opened. Many people toss it straight into the trash, so about 5.6 million tons of the stuff clogs landfills. Reuse junk mail to create colorful trash-to-treasure paper beads for a necklace. Hint: Reuse clasps from broken jewelry. You can also string pearls, beads, and charms along with your completed paper beads. Collect all the mail your family receives for one week. Make one pile of regular mail and one of junk mail. Tally the number of pieces in each, and record your totals in your science journal. Weigh each pile and jot down those totals. How do they compare? Place the junk mail into categories of your choice. For example, make piles of catalogs, advertisements, flyers, or magazine subscription offers. How many pieces are in each pile? Note your findings. Now it’s time to reuse! First decide how long you’d like your necklace to be. Measure a length of thin cord or fishing line and cut it. Create a template with a piece of cardboard. Draw a triangular shape 1 inch wide at its base and 6 inches long. Cut out the template and use it to trace about 30 strips on glossy paper from your junk mail. Cut out the strips. If you discover later that you need more beads, then come back to this step. Firmly wrap the wide end of the first strip around a wooden skewer or chopstick and roll the strip toward the pointed end. The tighter the paper, the more decorative the bead. When you have about 2 inches of bead left to roll, use a glue stick to swipe the remaining length. Finish rolling the bead and hold it firmly in place until the glue sets. Carefully remove the bead from the stick and set aside. Repeat with all the strips until you’ve made all the beads. For strong, durable beads, seal them with a coat of decoupage glue, or Elmer’s glue with water added. This makes a nice finish. You might find it’s easier to apply glue if you place each bead back on the skewer tip first. After applying the glue, set each bead aside to dry. Tightly tie a metal clasp to an end of the fishing line. When the beads are dried and feel firm to the touch, string them on the line. Once the line is completely full, tightly attach the other clasp. Enjoy your junk mail jewelry! Why does it matter where our garbage goes after we throw it out? Do you produce more inorganic or organic waste? How has garbage dumping changed throughout history? What role do landfills play in solid-waste management? How does hazardous waste cause problems in landfills and the environment? How will you recycle and reduce to limit what you dump into the waste stream? How can you use creativity and ingenuity to reuse items? How will you challenge yourself to recycle more? How can you rethink choices to develop a waste-reduction action plan? 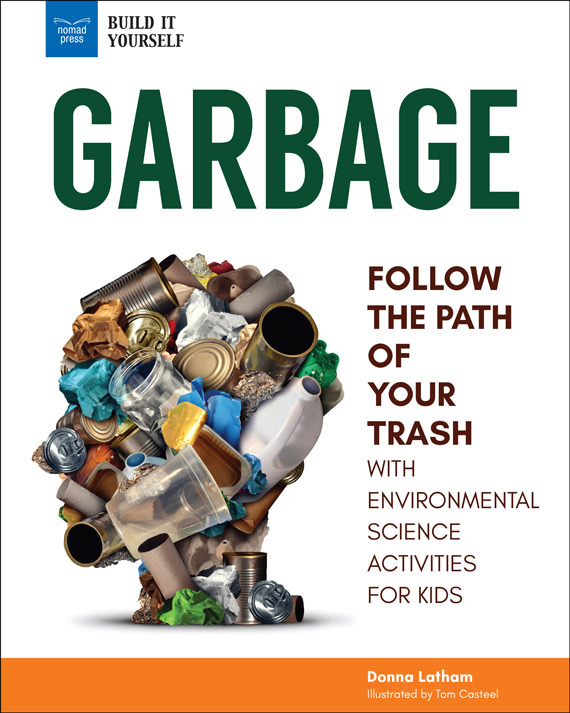 About the Book: That potato chip bag you tossed in your trash can this afternoon—where does it go when it leaves your house? Garbage: Follow the Path of Your Trash with Environmental Science Activities for Kids invites middle graders to investigate the world of trash! The average American produces more than four pounds of trash every day—multiply that by 300 million people and you’ve got a lot of garbage! Where does it go? How does it break down? What are the challenges of dealing with so much waste? What can we do decrease the amount of stuff we are throwing away? Garbage explores questions like these while encouraging kids to think about the choices they make that generate garbage in the first place. 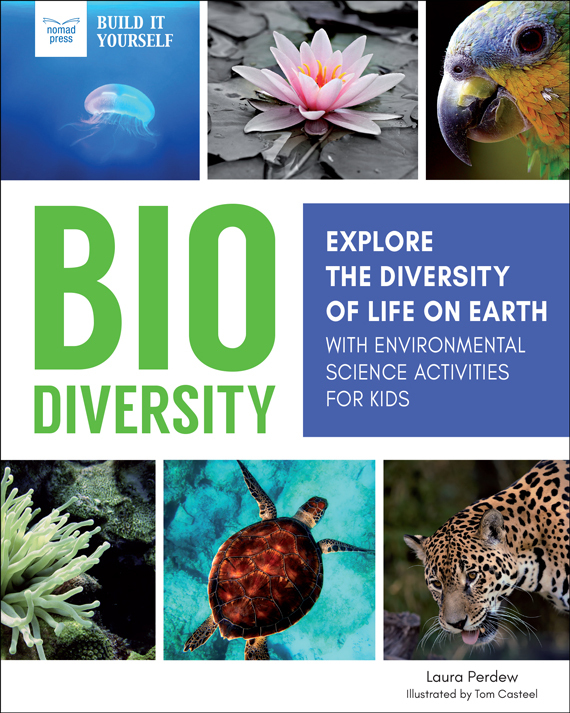 Try these hands-on environmental projects! 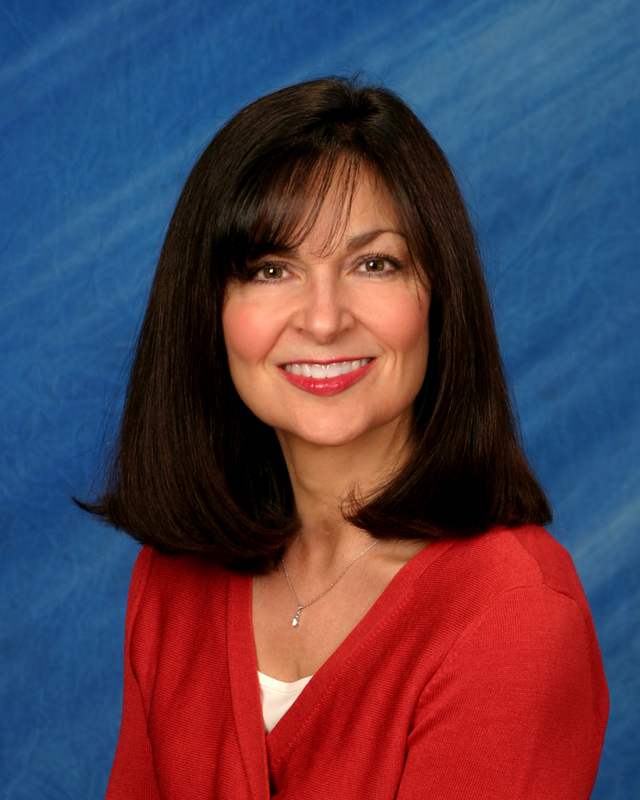 Thank you to Donna for her important and thought-provoking post! Summary: Zoom off into space for an adventure where you choose what happens next. Which alien would you most like to be friends with? And what fantastically freaky food will you decide to munch for lunch? 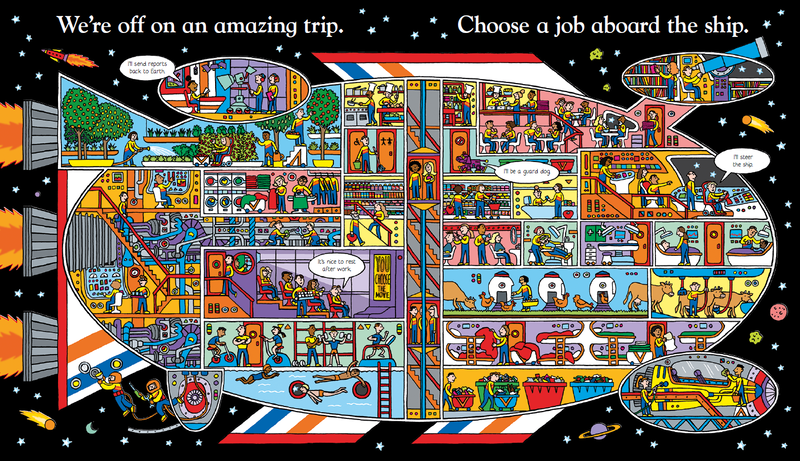 The possibilities are infinite in this mesmerizing creative toolkit which will inspire children to make their own stories time and again — it’s out of this world! 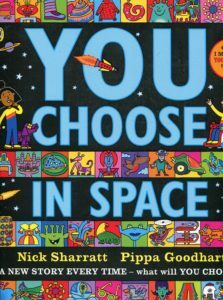 Ricki’s Review: The You Choose series books are easily among my favorite books to read to my kids. We take them on family vacations and visits with relatives and friends because we love to hear what our friends and family would choose. 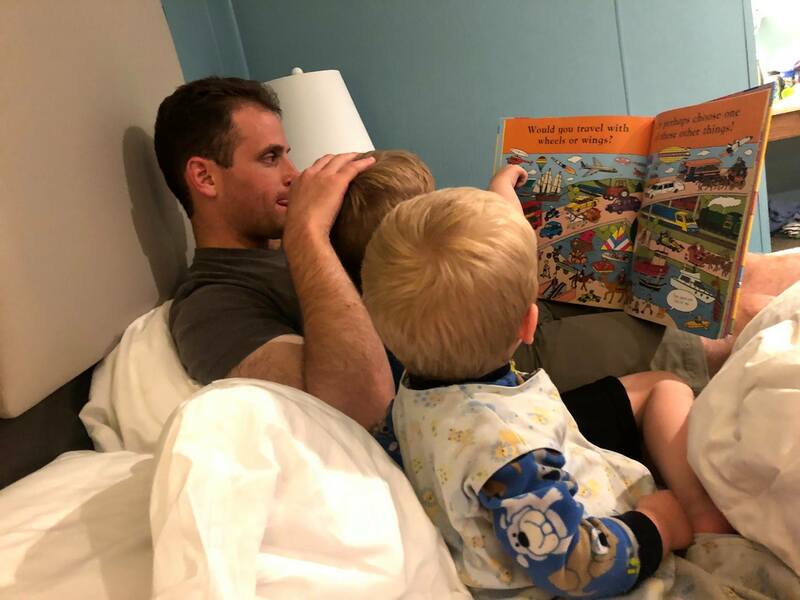 This is one of the best books to bring in car trips because kids can select a different ending every time! When this book came in the mail, my kids shrieked with joy. Since then, we’ve read it dozens of times. I love seeing how my kids’ tastes are different. There is also a lot of great classroom potential in these books (see below). 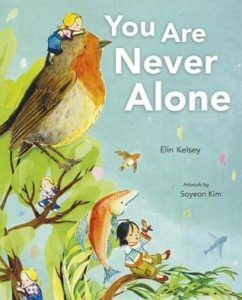 Kellee’s Review: I’m so glad that Ricki told me to review this You Choose book with her! She received the first one, but I was booked at the time, but she said that I could not let this chance pass, and I am so glad! 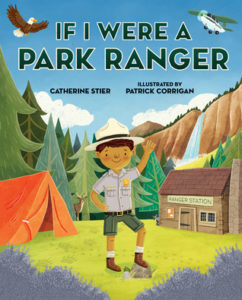 It is a choose your own adventure book for the picture book age. It really does build up the story-telling capacity because it gives a foundation and lets the reader build up from there. It is such a fun book that is different every time, so a reader is never done! 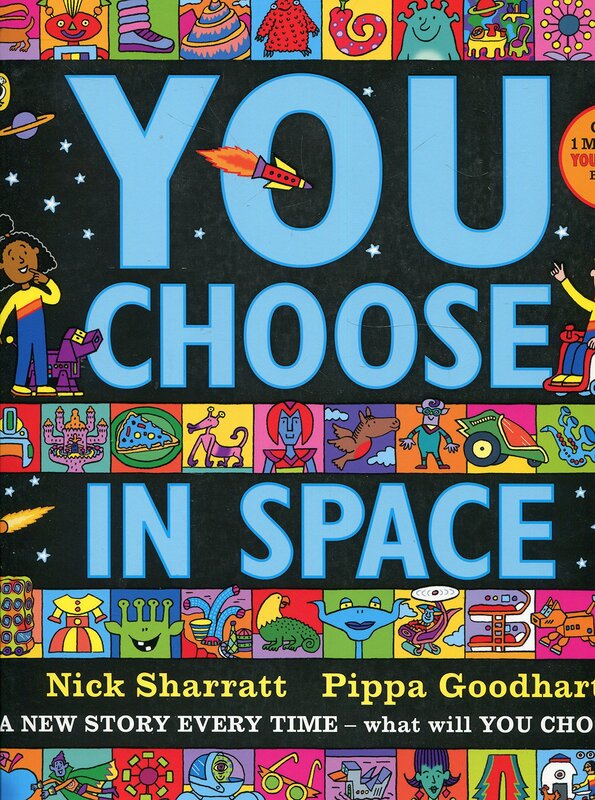 Teachers’ Tools for Navigation: You Choose in Space, Just Imagine, and You Choose make for fantastic texts for creative writing units and courses. 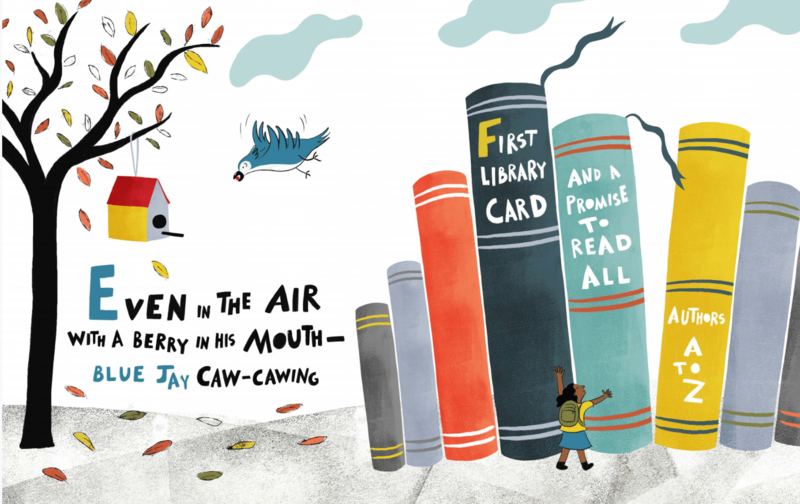 As teachers, we know that students often struggle to get started, and paging through these books allows for wonderful story starters. I use these books to discuss teaching composition with preservice teachers, and I also use them for a unit about using picture books in the classroom. My students love these books! What did you choose? Why? What did you NOT choose? Why? Which page was your favorite? Why was the spread most interesting to you? Did you notice any trends or patterns with your choices? GoodReads Summary: Sixteen-year-old Bri wants to be one of the greatest rappers of all time. Or at least make it out of her neighborhood one day. 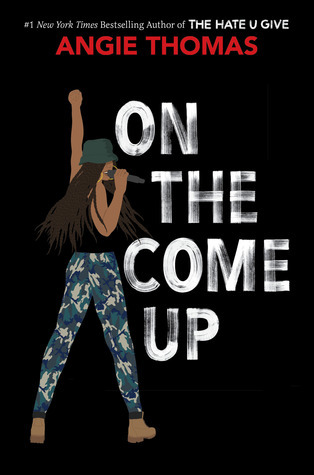 As the daughter of an underground rap legend who died before he hit big, Bri’s got big shoes to fill. But now that her mom has unexpectedly lost her job, food banks and shutoff notices are as much a part of Bri’s life as beats and rhymes. With bills piling up and homelessness staring her family down, Bri no longer just wants to make it—she has to make it. 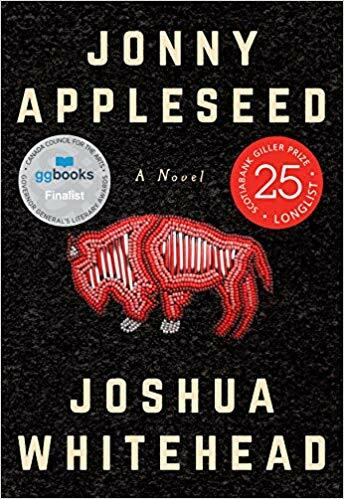 My Review: After reading this book, I promptly went into my course syllabus for next semester and swapped out another book to include this one. There are so many things that I love about this book. 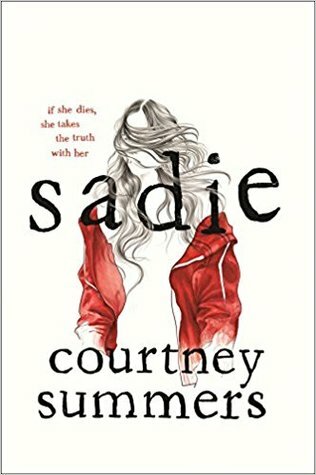 In particular, I really liked how this book tackled the issues of violence against and the assumptions stereotypically made of black females. There are only a few other recent books that tackle these issues, and they are critically important. I get incredibly frustrated by assumptions like “aggressive black female.” Angie Thomas deftly addresses these assumptions and provides a variety of angles for readers. Bri, the narrator, is incredibly strong, and I admire her greatly. I will never have a daughter, but if I did, I would be so proud if my daughter turned out to be like her. 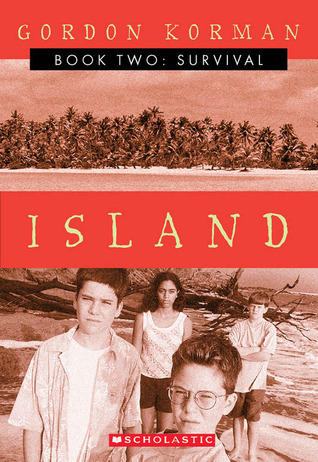 This book just feels different from any book that I’ve read. It offers something different that is going to make for great classroom conversations. Teachers’ Tools for Navigation: I am going to be using this book in a Social Movements and Collective Action course. I will be using it with other texts to talk about the history and currency of the #blacklivesmatter movement. 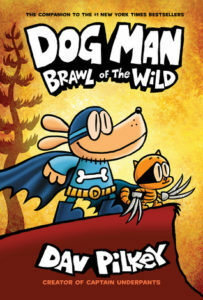 I am very excited that this book exists in the world, and I know that my students will love it. 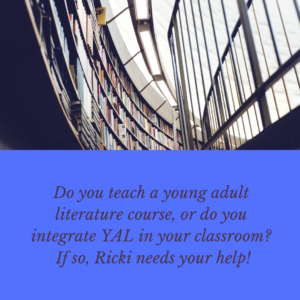 Discussion Questions: How does the author craft dialogue? 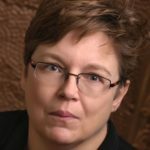 What might other writers learn from her work? ; What messages does the text reveal? Which messages are less obvious but implicit in a reading of the text? ; What connections does this text have with the world today? Summary: In H Is For Haiku the late poet Rosenberg, a charter member of the Haiku Society of America and a New York City public school teacher, and illustrator Chalabi offer an A-Z compendium of haiku that brings out the fun and poetry in everyday moments. 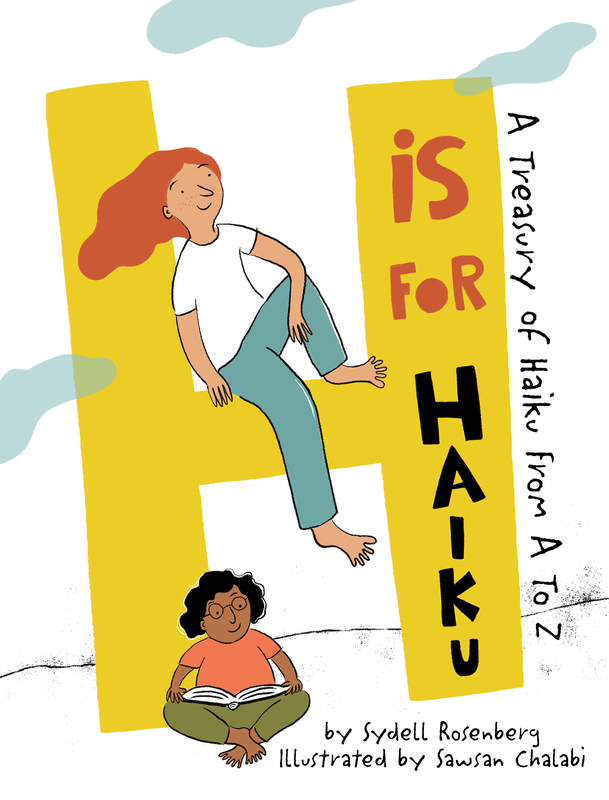 H Is For Haiku introduces young readers to the short Japanese poetic form of haiku and includes helpful notes by the author’s daughter as well as by the author herself. 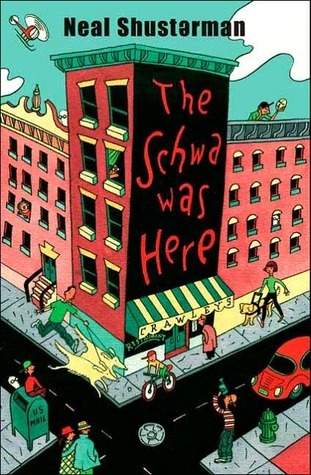 Sydell Rosenberg (1929-1996) lived, wrote and taught in New York City. 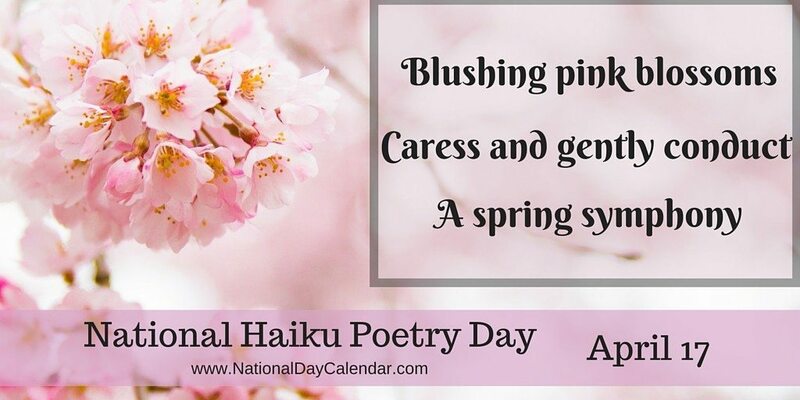 Syd was a charter member of the Haiku Society of America in 1968 and served as HSA’s Secretary in 1975. Her short poems – notably haiku and senryu – as well as other poetry, were published in various magazines and anthologies. Syd received her M.A. in English as a Second Language from Hunter College in 1972. It was Syd’s dream to publish a book of haiku for children. Sawsan Chalabi is a Lebanese-American illustrator and designer. 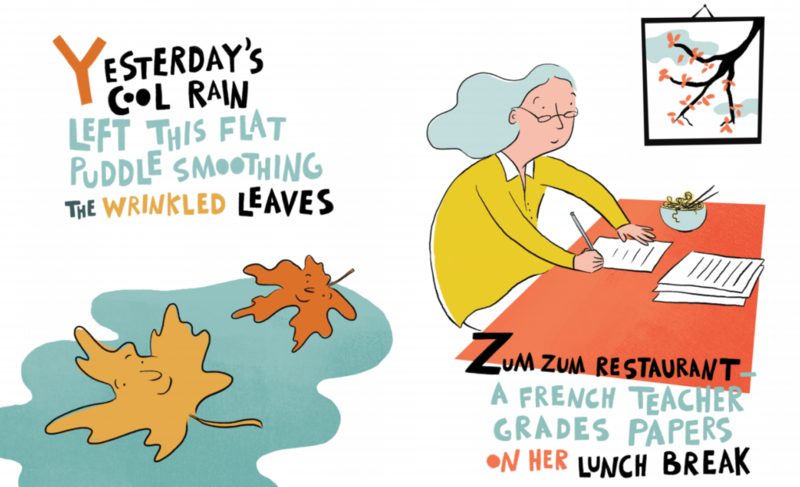 She earned her MFA in Illustration from Savannah College of Art and Design. When she is not at her computer making digital illustrations, she can be found in her studio getting messy with inks and paint. 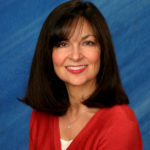 Her work has been published with several magazines and publishing houses such as Cricket Magazine, Bust Magazine, Wine & Spirits Magazine, Applied Arts Magazine, Penguin, and Lee & Low Books, among others. She currently resides in Washington, D.C. where she continues to explore the power in the silent communication of art. 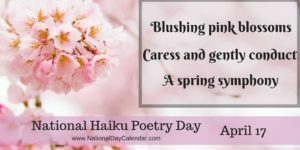 Review: A wonderful text full of examples of haiku that follow the traditional rhythm and themes of the style. 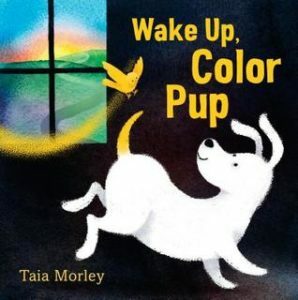 The imagery the author brings along with the colorful and fun-filled illustrations makes the book one that will bring enjoyment to the reading of poetry. 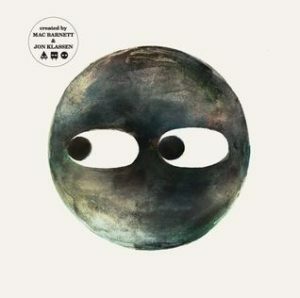 Circle by Mac Barnett & Jon Klassen is the perfect end to the trilogy. I like the open ending that leads to conversation. 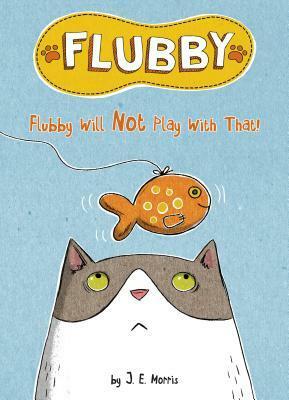 Flubby is the star of a new picture book series, and just love him! 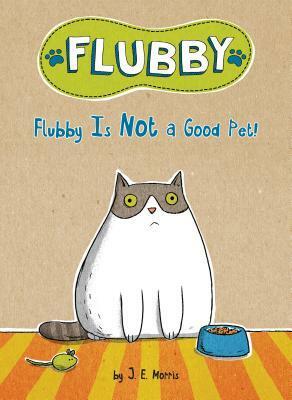 I find cats to just be so lovable and hilarious, so this series is perfect for me! 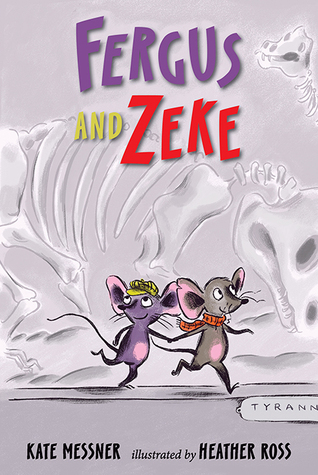 Trent chose Fergus and Zeke the last time we were at the book store, and we got to reading it this week, and I just love the mice friends! 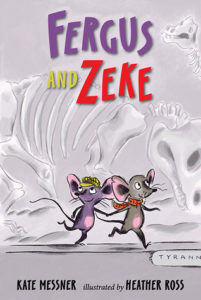 We have book 2 ordered! 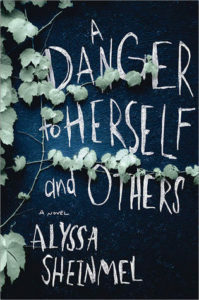 A Danger to Herself and Others by Alyssa Sheinmel looks at a teen’s decent into mental illness. The ending of A Grimm Warning is pretty epic! Now I am just waiting for the audio for the next one to be available. While I wait, I decided to start Gordon Korman’s Island series. Since I loved the Kidnapped audios so much, I thought this would be a great choice. 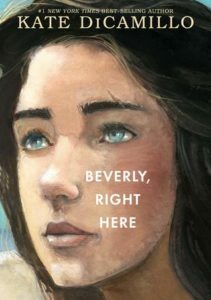 Oh, everyone, you are going to love Beverly, Right Here by Kate DiCamillo. 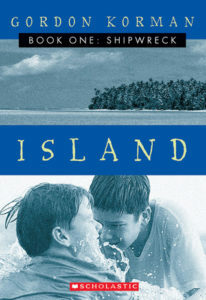 It looks at the final of the three friends (Raymie Nightingale then Louisiana’s Way Home) and is a beautiful story about finding happiness. Focused by Alyson Gerber is about a middle schooler who is struggling with focusing. This week, I finished listening to Sadie by Courtney Summers. 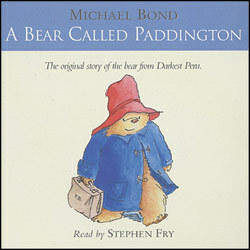 I am so glad that I listened to this one as an audiobook. I loved all of the voices and the podcast style. This is a powerful book. I am heading off to maternity leave (ahhh!). I have set up lost of posts and reviews in the meantime. I will miss you all, and I am very sorry that I was unable to comment on the last couple of Mondays. Pregnancy is exhausting! I look forward to seeing you all in a couple of months! 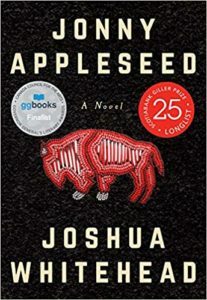 I am reading Jonny Appleseed by Joshua Whitehead. 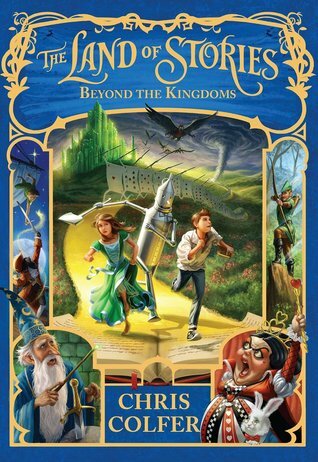 It’s an adult book that I missed when it came out a year ago. I am really enjoying it, and it is very different from other books that I’ve read. I will report more later (after maternity leave, likely!). The Ghosts of Ordinary Objects series is a bit hard to categorize. Set in a small Appalachian coal mining community in 1942, both Bone’s Gift and the newest book, Lingering Echoes, mix history with a bit of folklore, mystery, and fantasy/magical realism. Just as her little community is being changed by World War II, Bone Phillips (12) is going through some changes of her own. She’s coming into her Gift, as her Mamaw calls it. Many people in her family have special ability, or Gift. 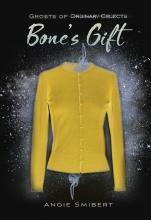 Bone’s is the ability to see the ghosts—or stories—inside ordinary objects. And she needs to use her Gift—which she’s none too happy about—to solve a few mysteries. 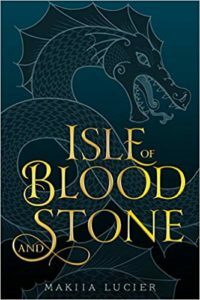 Why mix fantasy, mystery, and/or magical realism with history (or vice versa), particularly with middle grade readers? Lately, I’ve been asked this question a lot! My answer has a few parts. First, these are the kind of stories I love. I adore stories that mix genres, such as fantasy and history (or even alternate history) Think The Book Thief, Jonathan Strange & Mr. Norrell, The Night Circus, The Discovery of Witches, or the Golem and the Jinni. When I was much younger, I devoured everything Anne Rice or Chelsea Quinn Yarbro wrote. And I started those books for the magicians, witches, and vampires but stayed for the history–much like today’s middle grade readers do. Secondly, several teachers and librarians have told me they appreciate these series for this very reason. 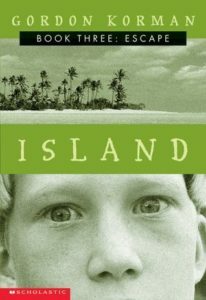 Many kids might not pick up a straight historical novel—but they would devour one that had a mystery, fantastical, and/or scary element. In Lingering Echoes, for instance, Bone has to use her Gift to solve the mystery of an object—in this case a jelly jar—that has a power all its own. All around her, though, World War II is being waged on the home front as well as in battlefields far away. 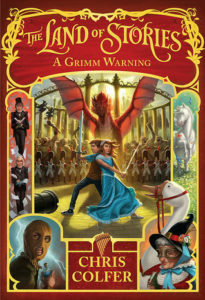 Hopefully, readers will come for the fantasy and mystery and stay for the history! But, finally, fantasy isn’t just something to draw the readers in. For me, fantasy (and science fiction, too) is essential to what I like to read and write. Fantasy explores and evokes a sense of wonder, which we all desperately need. Children are born with that sense of wonder, a mixture of curiosity and awe about the world. As we get older, though, we tend to lose that sense. And that process of de-wonderfication (just made that up!) starts in the middle grade years. (At least, I think it does.) 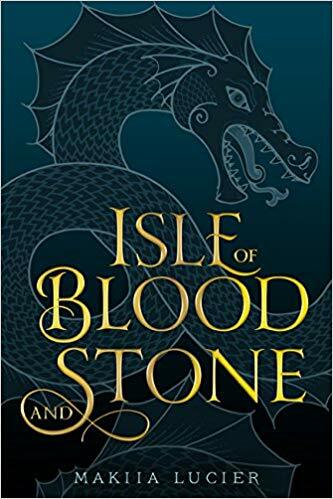 So, I like to mix fantasy with history (and vice versa) to remind readers (and myself) that magic can even be found in the ghosts of ordinary places, past and present. Read about Bone’s Gift at http://www.unleashingreaders.com/?p=15806. Summary: Bone has a Gift. When she touches certain objects, images wash over her, and she sees stories—the joyful, surprising, or even terrifying events that occurred as someone gripped those objects. So when Bone’s best friend, Will, brings her an object unlike any other Bone has encountered, he asks her to tell him its story. It’s the jelly jar he inherited from his father—the same jelly jar his father clutched during the coal-mining cave-in that killed him. Bone only has to put her hand near the jar to feel the strange power in it, to see flashes of her friend—who has been mute for as long as she can remember—talking with his dad. And when Will opens the empty jar, sounds float out. This jar isn’t just a witness to history; it’s something more, something dangerous. Could it have a Gift of its own? 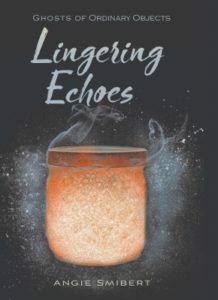 In this second haunting installment of The Ghosts of Ordinary Objects series, Bone must use her wits and her Gift not only to uncover the truth but to make sure Will isn’t sucked away by long-forgotten memories. 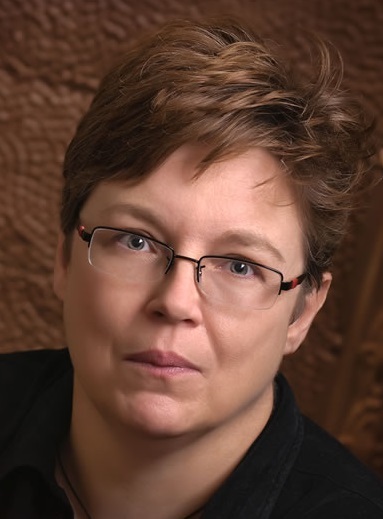 About the Author: Angie is the author of the middle grade historical fantasy series, Ghosts of Ordinary Objects, which includes Bone’s Gift (2018), Lingering Echoes (2019), and The Truce (2020). 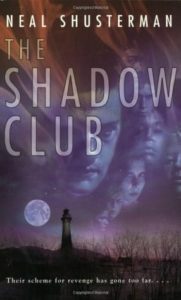 She’s also written three young adult science fiction novels: Memento Nora, The Forgetting Curve, and The Meme Plague. In addition to numerous short stories, she’s published over two dozen science/technology books for kids. 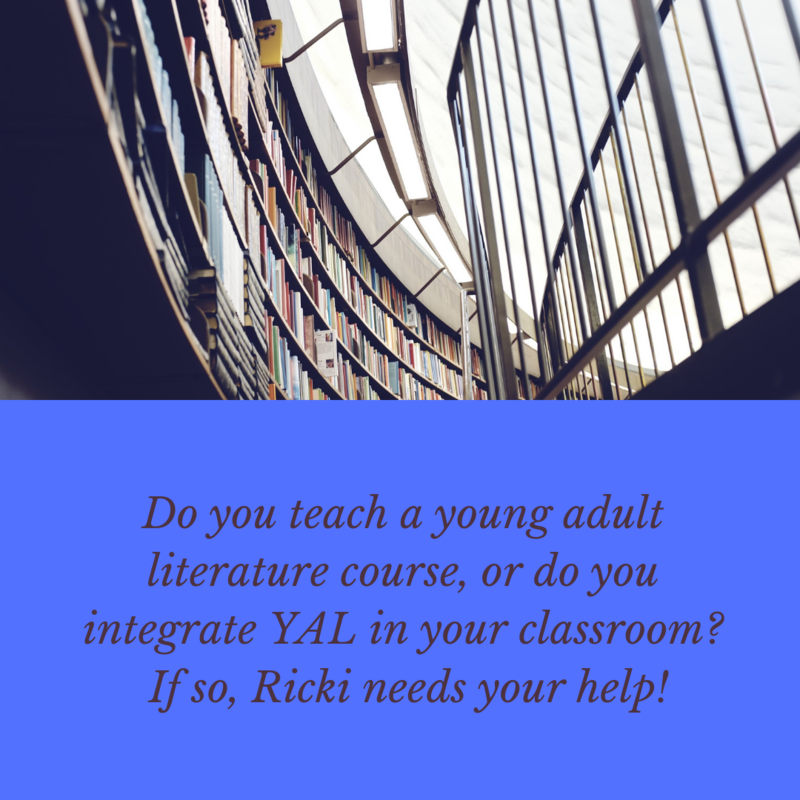 Angie teaches young adult and speculative fiction for Southern New Hampshire University’s creative writing M.F.A. 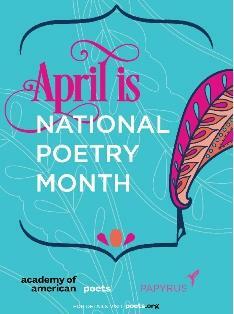 program as well as professional writing for Indiana University East. Before doing all this, she was a science writer and web developer at NASA’s Kennedy Space Center. She lives in Roanoke with a goofy dog (named after a telescope) and two bickering cats (named after Tennessee Williams characters), and puts her vast store of useless knowledge to work at the weekly pub quiz. 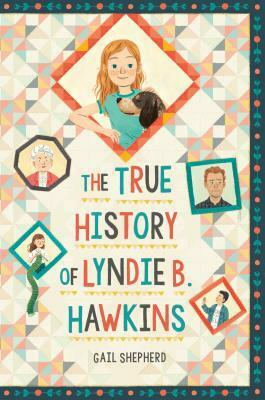 This series is really a fascinating look at a the past with a dash of fantasy! Thank you, Angie, for this look into your creative process!